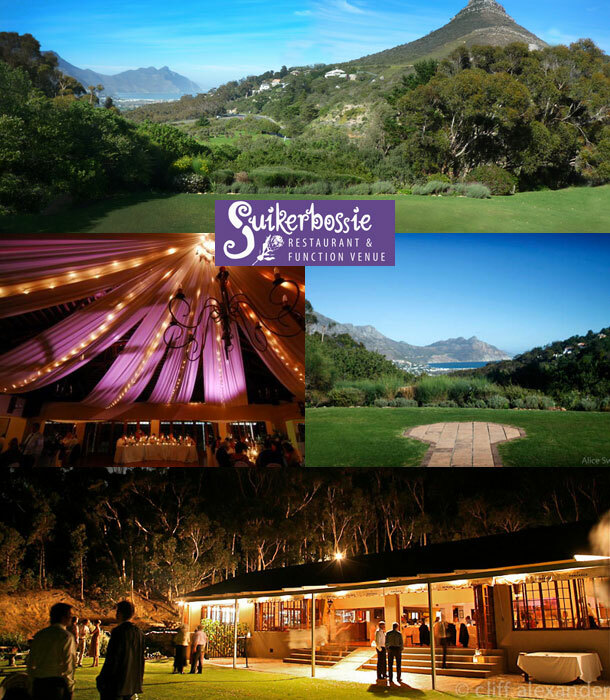 Suikerbossie, the premier wedding venue on the Atlantic Seaboard, has two venues available and hosts and caters for: corporate functions, weddings, family celebrations, conferences and Kosher functions. Used for larger functions, the Downstairs Venue can accommodate a minimum of 120 guests and a maximum of 300. Venue hire includes waiters, bar staff, tables, chairs, white linen, cutlery, crockery, glasses and ice. The wedding ceremony can be held in the garden at no extra charge – gazebo, chairs, umbrellas and the use of our sound system can be utilised to announce the arrival of the bride. A bad-weather plan can be made with the ceremony taking place in the restaurant and the use of a red carpet can be made available for the bride’s entrance. A log fire in our stone fireplace creates a warm and cosy atmosphere in winter. Used for smaller functions, this venue can accommodate a minimum of 50 guests or a maximum of 70. The upstairs venue caters for small, intimate functions. The upstairs venue has a bar and large deck looking over the valley. 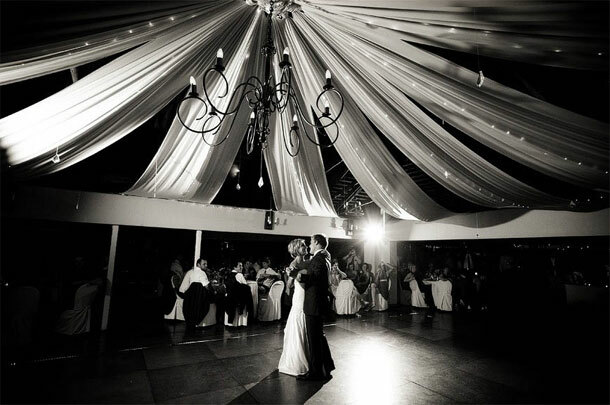 If Suikerbossie sends your heart into a flutter and you would like to book your special day here you can telephone them on +27 (0)21 790-1450. Please would you be so kind to supply me with your different menus for a 21st party on the 1 August 2014 and cost of venue. Hi Wendy did you get a reply to this question? Please contact our office 021 790 1450. This is really a stunning wedding venue, perfect setting with excellent service and awesome staff, not to mention the food!! !